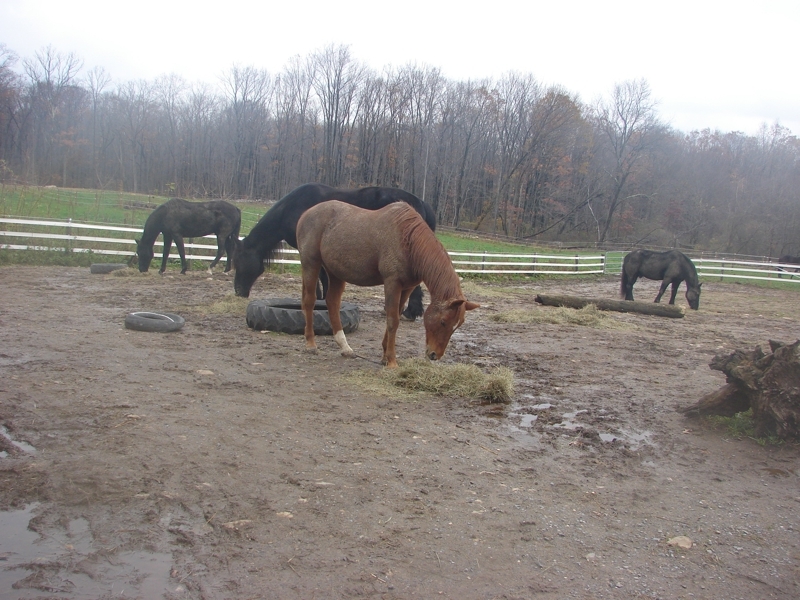 You are here: Home / PA Horse Property Buyers / Horse Property – How Much Property Is Enough To Keep Horses? Horse Property – How Much Property Is Enough To Keep Horses? I have heard several consumers ask this question, particularly those that are new to horses or those that are planning on keeping their horses in their backyards for the first time. As we all know, horses are large animals. Unlike dogs or cats, they require large open spaces. It is not fair to keep a horse in a stall 24 hours a day, 7 days a week and taken out to be ridden at times for an hour or so. Just think how you would feel if you were stuck in a 12′ x 12′ room for 24/7 and going outside for about an hour for a walk. We go stir crazy in the winter being stuck indoors. Imagine how the horse feels. Horses were born to be outdoor creatures. They are happier to be outdoors, constantly moving around and socializing with their buddies. They need an area large enough to be able to run around and play. So, as a rule of thumb, when looking for horse property, you should allow at least 1 – 1 1/2 acres per horse. Let’s say you have 3 horses. You should consider a minimum of 3 acres plus acreage for your residence and the barn or farm building for the horses. The horses should have an area that we call a “sacrifice area”. This area is usually by the barn where they are constantly kept and therefore, no vegetation grows. They are kept here to keep them from damaging your pastures. If horses are allowed on pastures when muddy, they will be destroyed by the trampling. The pasture areas should be divided into sections to allow for rotation, giving each section a rest from grazing. A pasture can be over grazed if not allowed to rest.